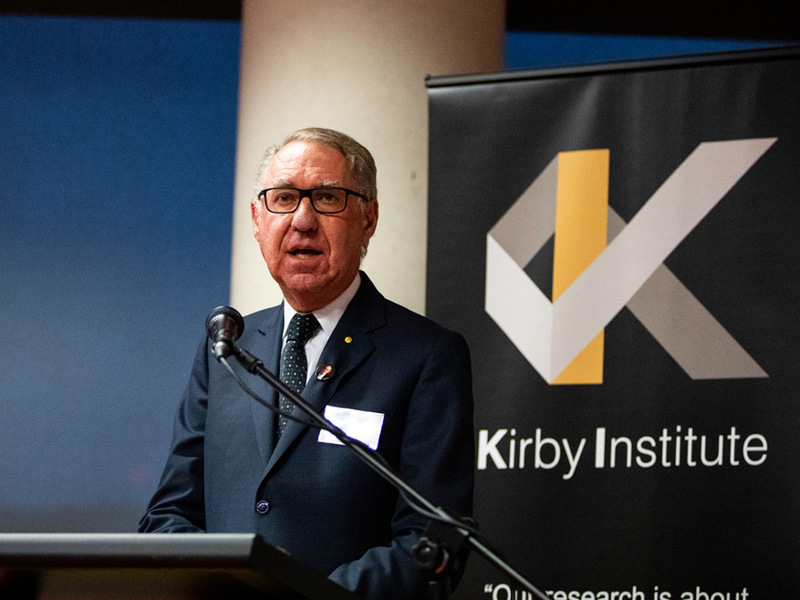 To mark the one-year anniversary of the passing of Professor David Cooper AC, much-beloved inaugural Director of the Kirby Institute and world-renowned immunology expert, UNSW held a small gathering to honour David’s legacy and support the continuation of his great work. More than 60 friends, colleagues and followers of David’s career joined his family in the Berg Family Foundation Seminar Room at the Kirby Institute in the Wallace Wurth Building, where they heard from current Kirby Institute Director Professor Anthony Kelleher; Chancellor David Gonski AC and President and Vice-Chancellor, Professor Ian Jacobs, who each shared their admiration and respect for their late colleague. 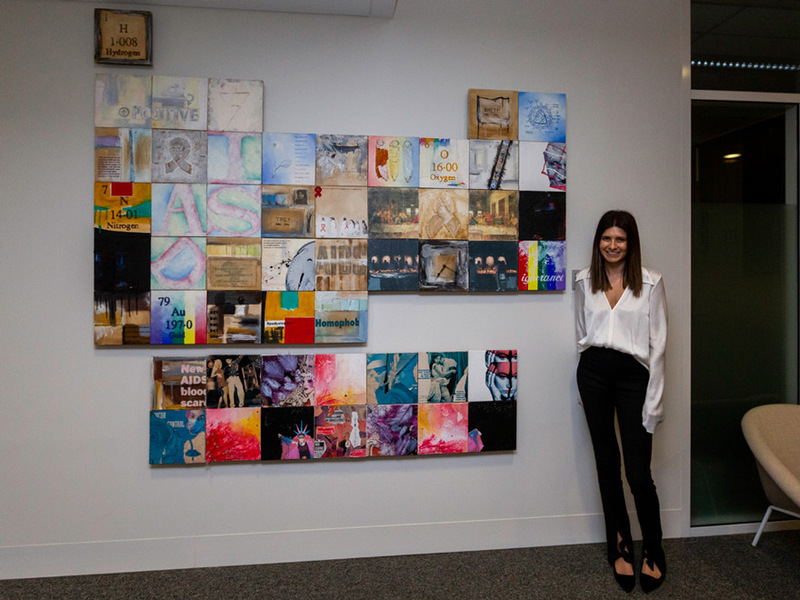 Attendees then moved around to the Kirby Institute’s Boardroom, officially renamed the David Cooper Boardroom in commemoration of the world-renowned academic. Through a number of heartfelt speeches and anecdotes, the evening recognised and celebrated David’s tremendous contribution to clinical and academic research– the impacts of which will be felt around the world for generations. Throughout his life and career Professor Cooper pioneered collaborative infectious disease research that has saved countless lives in Australia, and globally. Referring to Professor Cooper as “one of UNSWs greatest”, Gonski recalled meeting him at a dinner party almost 30 years ago. After hearing of the brilliant things David was doing, Gonski claims to have left the party a changed man, ready to commit himself more passionately to the philanthropic work he was doing. Gonski described David as “a quiet, humble man who managed to drive through enormous change and advancement in his area of medicine.” His enduring legacy is a commitment to achieve the widespread prevention, treatment and cure infectious diseases which disproportionately affect the world’s most disadvantaged communities, and David firmly advocated health as a fundamental human right in all of his endeavours. David passed away in March 2018, and later that year he was posthumously made Companion in the General Division of the Order of Australia (AC), for his service to medicine in the area of HIV/AIDS research. 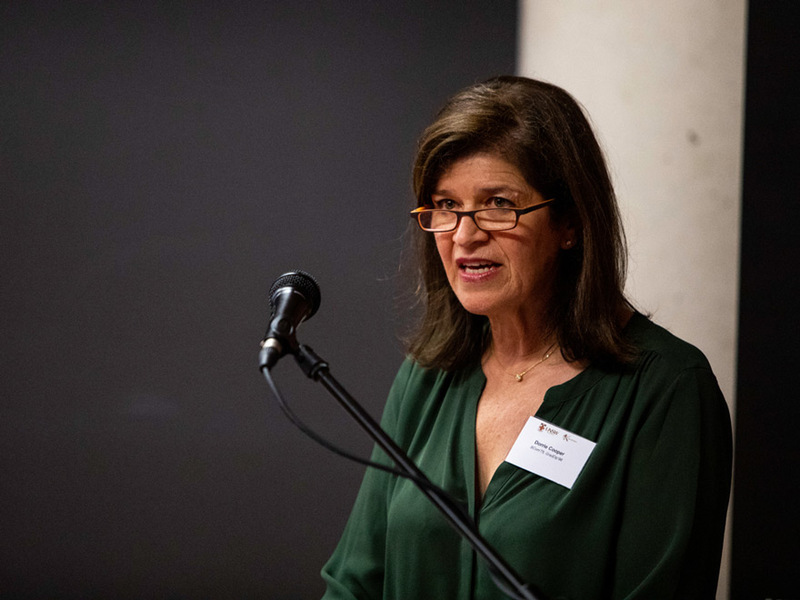 Addressing the room, Professor Jacobs vowed to continue Professor Cooper’s great work at UNSW, officially launching the new David Cooper Memorial Fund, through which the public may support the Kirby Institute in continuing on the path laid out by Professor Cooper. The launching of the David Cooper Memorial Fund reinforced the commitment of the Kirby Institute to carry on David’s work with immense dedication, honour and pride. “What Professor Cooper has done for humanity, at a global scale, cannot be overstated. Today, the impacts of his work are directly benefiting many hundreds of thousands of people. And his legacy will continue, ensuring that future generations are safeguarded, as far as possible, against HIV and other infectious diseases,” said Professor Ian Jacobs. The evening ended with the group gathering on the balcony of the new David Cooper Boardroom, looking back towards the city. Gonski commented that this was the perfect room to name in honour of David Cooper, as he was an altruistic man who always looked outwards. The David Cooper Memorial Fund has been established in David’s honour to carry forward his legacy and vision for future infectious disease research at the Kirby Institute at UNSW. Read more about Professor David Cooper’s life and achievements.